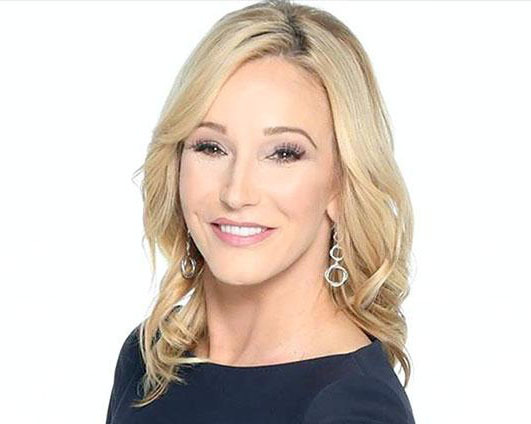 Pastor Paula White-Cain is the Senior Pastor of New Destiny Christian Center in Orlando, Florida. White-Cain is a celebrated author and teacher, beloved grandmother, mother and mentor, popular TV personality, and spirit-led preacher of God’s Word. By sharing her story of overcoming tragedy and finding restoration through the power of Christ, she has impacted people from every walk of life in more than 100 countries. As a child, White-Cain’s world was thrown into a tailspin when her father committed suicide. The tragedy turned her family upside down, and Paula’s childhood was marred by sexual and physical abuse. But at the age of 18, Paula was introduced to the Bible, and her life began to transform: soon after, she gave her life to God, and received a vision that she was to preach the gospel of Christ around the world. Pastor Paula began ministering in the inner cities of Washington, DC, in the late ’80s; by the early ’90s, she served in post-riot Los Angeles, sharing Jesus with children whose neighborhoods had been hardest hit by violence. She went on to lead multiple mega-churches, including one of the largest churches in America, and she founded Paula White Ministries, a global media ministry that has touched the lives of hundreds of millions of people. Pastor Paula is a humanitarian leader whose ministries have provided hundreds-of-thousands of pounds of food to the needy in the United States and tens-of-millions of dollars in humanitarian assistance to the needy around the world. As a woman, she has played a groundbreaking role in Christian ministry has been noted for paving the way for millions of young women to pursue God’s call for their lives. As a leader, she is a recipient of countless awards and honors including the Rosa Parks Award, the the Trumpet Award, and the Florida Governor’s award for her service in the aftermath of the Pulse nightclub shootings in 2016. She has frequently delivered invocations of note, including for the ceremony commemorating 40th anniversary of the tragic assassination of Dr. Martin Luther King, Jr. in 2008. That same year, she was a presenter at Maya Angelou’s 80th birthday celebration. Today, as a much-in-demand speaker and teacher of the gospel, she continues to travel extensively to fulfill her mandated mission: to transform lives, heal hearts, and show others the way to Jesus. Pastor Paula White-Cain is married to Jonathan Cain of the Rock-n-Roll Hall of Fame band, Journey. She is chairwoman of the Evangelical Advisory Board to President Donald J. Trump.